Here you'll find books about food and beverage pairing, preserving food, restaurants, sustainable fisheries, bottled waters, exotic fruits, etc., etc. Basically, everything that's not a cookbook, food commentary or diary/travels. What to Drink with What you Eat offers a huge compendium of proven pairings in the first chapters together with a little general advice to give you an understanding of what to look for in food and beverage pairings. Chapter three is a quick course offering some rules to remember. The two largest sections of the book are, thankfully, the most important and useful sections. One is alphabetized by food – listing drinks to go with that food. The other is alphabetized by drink – listing what foods go with that drink. In the Matching Beverages to Foods section, you will find a wide range of specific foods from Jambalaya to Saint Felicin, Guavas to Wild Boar, Vietnamese Summer Rolls to Chocolate Eclairs. Conversely, in the Matching Foods to Beverages section you will find pairings for uncommon wine varietals like monastrell or cannonau, as well as coffee (including different roasts and regions), sherry (including Ron Miller’s, “On When to Start with Sherry"), chimay, juice (and lemonade), sake (more than 10 types), and even different brands of mineral water! Another section of What to Drink with What you Eat is Pairing Menus from Some of America’s Best Restaurants. The last chapter “The Best on the Best" is a culinary/ sommelier star’s desert island style list of pairings from the likes of Joseph Bastianich, Daniel Boulud, Traci Des Jardins, Larry Stone and Daniel Johnnes. This chapter is really fun to read and also offers a sprinkling of recipes. Steven Jenkins and Max McCalman offer some great Cheese pairings. At 365 pages, this book is like a dictionary of Food & Drink pairing - and has already become an essential reference in our house. After asking "What's for dinner" Jack will whip it out on the way to the wine cellar. Now as in any advice book, personal taste is important; no book is going to succeed in all ways. However What to Drink with What You Eat does an admirable job of improving the chances, having enlisted the opinions of many top chefs and sommeliers, and covering a hefty cross-section of food and drink. If you can’t find a pairing exactly for what you are drinking or eating you’ll definitely find some advice here which will help you make a choice. Highly Recommended. 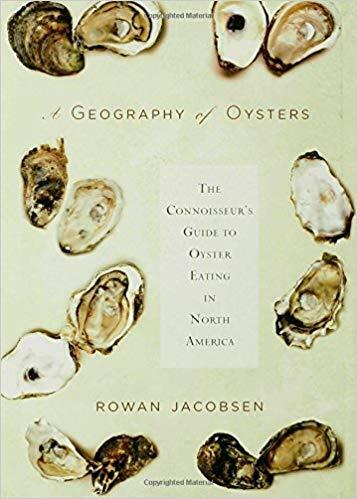 Jack’s Review: It’s rare when a food or wine book comes out and you go, “Wow, here’s a book that was actually needed!” The title of the book is exactly what the book is about, and fortunately, the advice in it is mostly excellent. I think those who purchase this book will use it on a regular basis; particularly when cooking something they don’t usually cook or eat. Funniest pairing: Having a meal of Ketchup? Drink slightly sweet wine. I was intrigued by the title of this compact lexicon of food, food related terms and people. Some of the wide range of entries pin down the elusive term. Based on the definition, I’m inarguably the food snob who this book, despite the title, is very definitely not written for. The introduction profiles the book as “a defensive aid in dealing with such a person, and as a primer for aspiring snobs…” which leads me to shudder. Not So: In no way is this essential. The selections are not comprehensive, as one might find in a real food dictionary. Neither are the listings particularly useful, beyond lifting the veil on a term. The whole book is written in a rather derogatory tone, making fun of food snobs and framing the reader as a “real person” who has no clue as to what rarified air smells like, and hence needs this book. Listings range from the vaguely informative to the offensive, using swear words for grit, and occasionally misleading (celeriac - where the prose leads me to believe that shredded celeriac salad is a U.S. invention). The authors offer the Guilty Pleasures of a Food Snob in one of their lists: Jiff Peanut Butter, Hot Dogs, Cheez Whiz, Iron Chef, French’s French Fried Onions, and Starbucks. So, perhaps I’m not a food snob after all. While written tongue- in-cheek, The Food Snobs Dictionary did not garner a snicker from me, only a grimace or two. My first reaction to this new guide was to look at the all the “slow food” choices, which mostly were not surprises. I was assuming erroneously that all the food sources listed in the guide would have Slow Food features and this is not the case. The ones denoted by the Slow Food snail icon “give above and beyond their support of the concepts of sustainability and biodiversity.” There are many listings which are of notable gourmet or foodie interest which do not have snails. Taking a step back, the guide does an admirable job of listing top restaurant destination in the Bay Area and noting top purveyors as well, in the back of the book. For a visitor to San Francisco or a newcomer, The Slow Food guide delivers. For a San Francisco savvy resident, there is probably not a lot to learn from the guide. If you are looking for the best spot to shop or eat were you are visiting, the book is a valuable resource for shopping day trips. In fact since it lists contact info and days closed for the restaurants (but not hours), I’ll keep this book in the car. Although the Slow Food Guide to San Francisco does have some coverage of wine country, it's the weakest part of the book. In a nutshell, it’s an excellent book for those visiting San Francisco and the Bay Area. Look for it! This little book is an unusual addition to a cook’s library, and frankly I doubt it will get much use as a reference. However it is a great and quick read and has lots of ideas which you may retain for ensuing disasters. We all hope to be perfect cooks – choosing the best ingredients and cooking them to perfection. But when reality hits and the vegetables are limp or tasteless or the meat is tough or something is overdone – whatever do you do? This little tome deals with most kitchen mishaps as a-matter-of-course, turning adversity into opportunity. Along with remedies for disasters, Willan suggests sauces and seasonings to hide mis-haps. For an ill-fated dinner party this book may be a life saver but even in day-to-day cooking there is wisdom herein which can be easily adapted. Impromptu guests might get a limp lettuce soup or a savory baked rice dish. There’s a great little recipe for Red Radish relish and vegetable soffritto to perk up meats. Next Thanksgiving, we may have her Bacon Mashed Potatoes which she suggests to accompany Dry Game Birds. Many bland or dry problems have multiple choice fixes. Bland seafood gets the salad treatment. Thick or dull jam gets fresh fruit added. Dry bread becomes bruschetta, French toast or garlic toast. Stale muffins turn into rumballs. Willan has lots of great ideas and she is very obviously an accomplished cook – there is a lot of wisdom to draw from here. I suggest you read it cover to cover. It might also make a fun gift for a new cook. Cons. Not essential. Doesn’t cover everything – for instance it doesn't mention a fix for dry turkey (i.e., the quick fix is to pour turkey or chicken stock over dry turkey to moisten it). Most experienced cooks have few failures and epicures will see past sauces. Don’t know a limequat from a Uniq fruit or what to do with them? This book will end up being your essential reference and it's very likely to replace the Elizabeth Schneider's boo, or, at the very least, the first place to look in. Melissa's Great Book of Produce is divided into fruit and vegetables, and lists virtually every piece of produce that you might find in a grocery store or specialty market (except for really truly unusual and ethnic varieties). Each listing offers, Buying & Storing, Prep, US Nutritional Info and Serving Suggestions (including recipes in some cases). Produce listings include things like Nira Grass, Saturn Nectarines, Malanga, Fairytale Pumpkins, Tamarind, Tung ho and Loquat. The only oversight I could find was the lack of a listing on garbanzo beans – everything else I could imagine was listed. This book is great because it encourages you to buy something you’ve never encountered without fear of what to do with it once you get it home. Listings are concise (usually 1-2 pages) and the book, at 309 pages, seems a usable size. It has great full-color photos of almost every fruit or vegetable, often with a whole and cut version. Produce like melons, potatoes and oranges get a listing and then the sub varieties get a notation in addition. At the end of the book there is an availability index for quick look-ups, which shows both US and Global seasonability. Melissa’s Produce is based Los Angeles, CA and are known as a leading distributor for specialty fruits and vegetables. Perhaps they are most famous for introducing the baby vegetable trend. It gives a good overview of the tea industry and what to look for in tea – especially grades of tea. It has a nice appendix which may direct you to a source that you might have missed. Cons. I was looking for the ultimate book on understanding tea and this is not it. I did not find one. It’s not that helpful in selecting tea from the myriad of teas available. It spends too much time on accoutrements and, tea and health. The print is large and so for the 150 or so pages there is not a lot of info. The author profiles 43 vegetables and fruits. He tells you how to purchase, how to store and how to prepare. Included is both a simple and a complex recipe, along with some history of the fruit or vegetable. This is a book in which you are likely to read the chapters on what’s in-season, and then go back and read other chapters in a different season. Thankfully the book is organized by season. There’s quite a lot of bonus information, too, such as what fruits will ripen after picking. In some ways, this is an essential book for those who purchase vegetables (this should be at least one person in every household, but, alas, the world is whacked nowadays). Parson’s writing style is quite smooth and friendly, and this book is worth giving to a friend. Recommended. The Great: The Story of Tea does an admirable job of telling the story of tea in both a pleasing narrative and an informative style. Most of my tea related questions were answered. In addition, it's a great tea lover's reference, offering brewing tips, resources and even recipes. The evolution of tea, from plant to cup, is covered in detail and repeated by type (white, black, green, etc.) As well, The Story of Tea outlines the history of tea in and along the tea trail, which gives a nice background. The color photographs throughout add to the story and to illustrate finer points of the text. I especially liked the discussions of how each style of tea is made. The not-so: the book is heavy and makes it unpleasant to carry around and as there is a lot of text it takes quite a while to read through it. I found that the index did not easily assist the reader in finding what they are looking for. I wish that the discussions of fair trade and organic teas were more in-depth although I did find them interesting. I also wish there was a whole extra chapter which discussed the finer blends and what exactly to look for when tasting (or cupping) - in fact a tea tasting instructive would have been lovely. All said, The Story of Tea is a great resource and an interesting read. It is also one of the best all-round tea books. This is a large book with a light and fresh approach to the world of tea, while retaining a high level of intelligence. The first chapters provide a good overview on history. The second set of chapters focus on the making of tea. The third section is very exciting, providing material, suggestions and basis for tasting tea. The fourth section looks at flavors, perfume and offers recipes. Accompanying photos are lush and vivid making reading a pleasure colored charts provide helpful graphics. This book does well as a first, solid tea book. It does not profile individual teas or tea areas as well as “The Story of Tea” but offers a good overview. The Not-so: There is no index, nor discussion on fair trade or organic. No index or cross-referencing may make look ups difficult. The strength of "Tea Aromas and Flavors" is in the chapter on tasting. The few recipes offered are attractive and I could easily see making them. Recommended. is an amazing collection of recipes (and wisdom) to traditionally preserve food using salt, oil, sugar, alcohol, vinegar, drying, cold storage and lactic fermentation. For those of us who have lost the culinary traditions of how to preserve the harvest, this little book is essential reading and reference. From how to store root vegetables for the winter, how to wrap tomatoes, to curing olives, this book will likely change your perspective of what to do with too many apples, plums, squash, tomatoes, etc. Fish Forever is first and foremost a resource guide to fish, and secondarily, a cookbook. There are about 15 pages on basics: Stocks, preparing a whole fish for cooking, tools, and pantry ingredients for recipes. The majority of the book is organized by fish type, from anchovy to wreck fish. Each dish type is prefaced by general information on the type of fish, how to prepare and cook it, and is followed by recipes. The last pages are useful, interesting appendices of fishing methods, health, and pollutants. The third sentence of the introduction immediately catches my attention: “The average American consumes two and a half times more seafood than he or she did twenty years ago, and seafood is shipped to American markets from around the world.” Fish is a global commodity and the issues at play are more important than they ever were as more fish is being consumed. As Johnson points out, the choices we make when purchasing fish make a difference in the future of not just local fish, but the world’s fisheries. The Great: Fish Forever contains tons of valuable facts on sustainable fish and what to look for when making a choice. The fish resources are wonderful, making this a great reference when choosing which fish to buy. It is also great reading and can almost be read cover to cover, skipping recipes. A nice gift for fish-lovers. The Not So: The fish profiled are the more popular and visible varieties and while “similar fish” are offered, there are fish that I've had to search elsewhere on for info. Recipes are not adventurous, but solid choices for a nice repertoire. This little hardcover guide is quite comprehensive in its coverage of finer bottled waters. There is quite an extensive introduction, with information on types of mineral water, how to pair them, and even essential instructions for hosting a water tasting. Do mineral waters really taste different? Absolutely! Fine Waters not only profiles each water, but breaks down their originality by source, minerality, hardness, and orientation (sweet, acidic, alkaline, etc.). The Great: Crisp, color, bottle photos and high quality paper make this a pleasant reference guide, or nice gift. It is a useful and interesting little book that most epicures will enjoy. The author is the owner of the web site on bottled water: Fine Waters. Not So: With the focus on environmental issues, restaurants have been considering, or have changed to tap water. Some regional U.S. waters were not listed, but many I thought of, such as European and British, are. The website is much more up-to-date and comprehensive. I can’t tell you how essential this book is until you have one. It’s the ultimate dictionary of food and of cooking. There are recipes as well as encyclopedia style descriptions of food and foods. It’s just one of the greatest things I have on the shelf besides the Joy of Cooking and the Food Lovers Dictionary. Cons. It weighs a ton and the print is small. You won’t refer to it daily and it’s a hefty price tag to match the weight. Because of it’s French origins it tends to take euro approach to what’s included and what’s not. Cons. It’s too small to be comprehensive – for more or different information, you’ll need Larousse Gastronomique. There are no real recipes in this book. by Elizabeth Schneider I, by nature, rarely refer to “reference” books, usually opting to experiment. But I really like this book (expense aside) and I find myself referring to it. It’s organized alphabetically by vegetable name and its really well cross-indexed. The main organization is a bit odd – so it’s helpful to have this cross-index – for instance Chinese Celery and Cabbage are listed under “chinese’ rather than their vegetable type. There are also a few recipes added for each vegetable (some listings offer only one) lest you find yourself with a strange green and wonder what to do with it. Each entry includes names, latin name, common names, a photo, the background info (where it originated why it’s included etc. ), a basic use, how to choose it in the market, proper storage and preparation. There is also a “Pro’s Propose” section which addresses pro-cooking uses noting quick recipes (no ingredient lists – just methodology) from famous cooks such as Paula Wolfert, Rick Bayless and Madhur Jaffrey as well as numerous other. I like the completeness of it. I don’t stand and wonder after I read about whatever has me perplexed, I feel informed and empowered. So why spend the money? If you like to try new things as we do – this book will help you get past the newness – and probably teach you a thing or two. The recipes are often quite attractive like Golden Potato Morel Cassorole or Pattypan and Globe Zucchini with Micro-Coddled Eggs or Warm SouthernPea, Fennel and Tomato “Salad” and may inspire you to try something new. This is an interesting companion to the Food Lover’s Companion. It is bigger and more in-depth on what it covers. You can read it cover to cover and gain really helpful kitchen and cooking info. Cons. It has a limited use – it’s not a day to day referral or even probably a week to week. It’s hit or miss whether what you are looking for would be there. It’s not really a complete dictionary of any kind but what it’s called is perfect – tiptionary. While this is an essential read – it is not an essential reference. I bought my food processor based on his recommendation and have been happy. There are many in depth descriptions of cooking tools and their use – like knives – how they are made, what to look for, how to sharpen and how to cut. I noticed that many of the kitchen tools we use and like, he recommended. Cons. If you don’t respect Alton Brown’s opinion this is not the book for you! You may only need to read it once and make a couple of notes. I bought the Oxo pizza cutter he recommended and I'm not impressed by it.